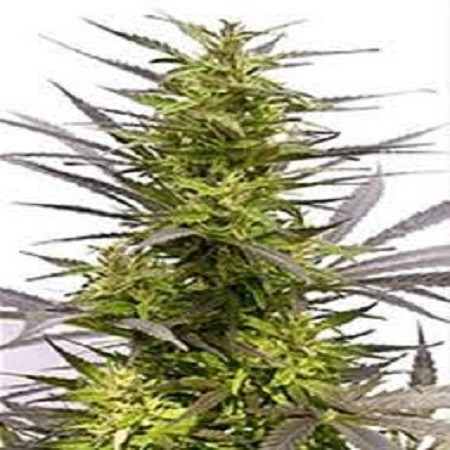 KC45 Regular Cannabis Seeds by KC Brains Seeds: The KC 45 strain of medical marijuana is a unique hybridization between Ruderalis and Sativa strains. Specifically, Russian Ruderalis is crossed with Brazilian Sativa. Cannabis Ruderalis is a subspecies, like Indica and Sativa that is unique to Russia. Ruderalis strains are known to "autoflower", meaning they automatically begin flowering when they reach a certain age as predetermined by genetics. In other words, Ruderalis strains of cannabis do not begin flowering based on the number of light hours per day as do Indica and Sativa strains. KC 45 is such a naturally strong performer that she will even grow big, sticky, aromatic bud colas even in cloudy, nearly-sunless locales. The Brazilian Sativa in KC 45 ensures that she packs a crisp, lucid head high to go along with her otherwise Indica-like buzz. Although she grows much better outdoors, KC 45 cannabis can also be grown under HID and LED lights. However, she is better outdoors as she tends to grow into a Christmas tree-shaped plant as tall as 7 feet. Regular reports of 3-pound+ yields, per outdoor plant harvested, are reported. Bud colas commonly measure up to a meter-long! The colas themselves are not very tight, but are compact. Individual buds are Sativa-slim and loaded with strong scents of lemon, especially when touched, ground or cut into. The uplifting high of the KC 45 marijuana strain will hit you like a locomotive when you intelligently toke her. The Ruderalis acts to mellow the buzz a bit, making you feel less hyper than a straight-Sativa strain would. So, you end up calm, yet enlivened; pain-free and energetic too!